Being partly faerie in nature, elves have an inherent capability for magic. This is realized in their affinity with the natural world, which they can call upon as an ally in combat. Enemies wandering in their forests may soon find themselves entangled by roots and hindered by the very ground they stand on. 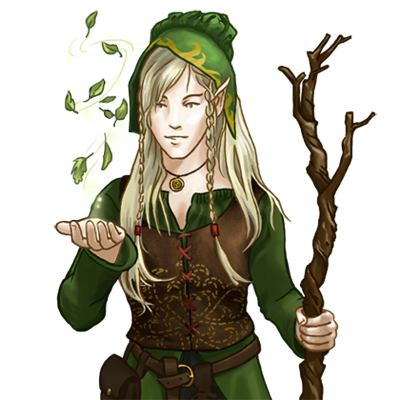 The healing abilities of the elves are also remarkable, and of capital use in battle. Specialaj notoj: This unit is able to slow its enemies, halving their movement speed and attack damage until they end a turn. This unit is capable of basic healing.